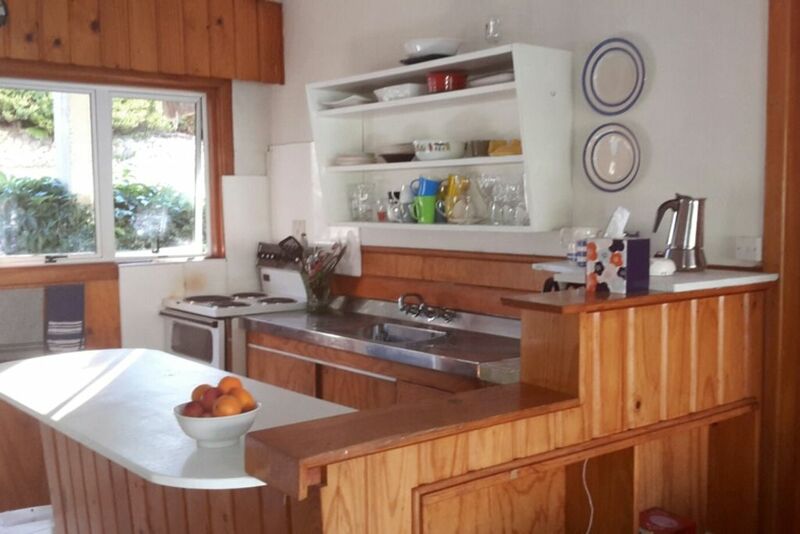 From this cute little sixties lakefront unit enjoy Wanaka all year round with the many activities it has to offer. In winter; skiing, tramping, climbing, fishing walks or biking on crisp sunny days. In summer; swimming(across the road), fishing, boating, bbq's, walks or the many other options the region has to explore. You will certainly enjoy the 10 minute stroll into town along the lakefront to one of the many fabulous cafes. Should you require LINEN please include a one off cost of $20.00 per person otherwise We will assume you will bring your own ie: sheets, pillow slips, towels, tea towels etc. Cleaning is included. Exactly what it says on the tin, vintage bach with all you need in the perfect location with a stunning view :) very easy walk to town as well. Just loved this delightful place! Right on the lake, uninterrupted views. The house is very comfortable, has all the amenities you need and a very comfy bed. Only a short walk to the town centre. We will definitely be back! Great having you to stay and so pleased you enjoyed our little holiday spot as much as we do. Hope you get the opportunity to return. A classic bach with lovely view of the lake and mountains. Very easy walk into the main street of Wanaka, past the yacht club to a small 4-Square grocery and an organic store and cafe nearby. The kitchen is well equipped with everything you need. The bedrooms close to one another. Beds are soft to sleep on. The log fire would make the place cosy and charming in winter. Above the bach/ unit is another dwelling where the tenant is quiet and pleasant and no interruptions at all. Many thanks to the owner, Karen, who is very quick to respond and an excellent communicator. Everything we needed... except new sink plug! Great to hear you enjoyed your stay and thanks for telling us about sink plug! Will get it sorted. Location is super close and convenient to walk in to town, and is a good base for exploring the Wanaka region. Thank you for sharing your lovely wee Bach with the us - we loved staying there. Thank you for sharing your lovely wee Bach with the us - we loved staying there. It was so warm and cosy, close to the lake and park and town. Great with the kids even though it was small. Loved the decor and the tea/coffee and kitchen supplies/harware fantastic.Thank you again.